Verbier lifts open this Friday 11th November! Due to some cold weather and amazing new snow, Téléverbier is opening certain lifts and pistes this Friday 11th through til Sunday 13th November. More snow is forecast to arrive tomorrow, so it could be a fabulous powder weekend! 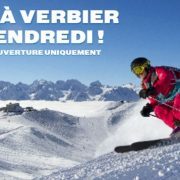 Find more information from TéléVerbier or book a ski lesson here! Make the most of your opening weekend by researching the lift pass options before you go. 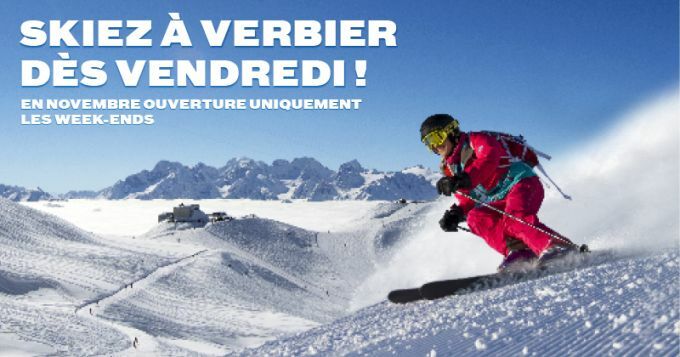 For those aged between7 and 25, TéléVerbier offer the Mont4Card which gives you an annual pass for the amazingly-discounted 400.- This should be 1402.- for a young adult, and 825.- for a child. This is all in aid of promoting snow sports to the younger generation, and we are all for it. https://alpinemojoskischool.com/wp-content/uploads/2016/11/verbier-is-open-this-weekend.jpg 357 680 brightdesign https://alpinemojoskischool.com/wp-content/uploads/2018/06/AlpineMojo-Long-No-Bckgrd-1-300x80.png brightdesign2016-11-09 19:18:262018-09-01 16:20:31Verbier lifts open!